David Archuleta is still taking it all in. Most of us know him as the adorable teen runner-up on season seven of "American Idol" - the "other David," who lost to David Cook. Archuleta, now 18, has already parlayed his reality TV success into a viable career: he opens for fellow teen sensation, 16-year-old Disney star Demi Lovato, at Agganis Arena on Friday. But he's still adjusting to his newfound fame. "With 'American Idol,' it's like going through a tunnel where you don't see what's going on around you outside, but everything's changing," Archuleta said from his aunt's house in Huntington Beach, Calif. "You're in a bubble. You're just worried about the next song next week. And then you come out of the other side once the show ends and it's like, boom! It hits you that now everyone knows who you are. Now you're getting signed to a record label and going out on tour. And it's just so hard to believe that everything's actually happening." Well, David, everything is actually happening. 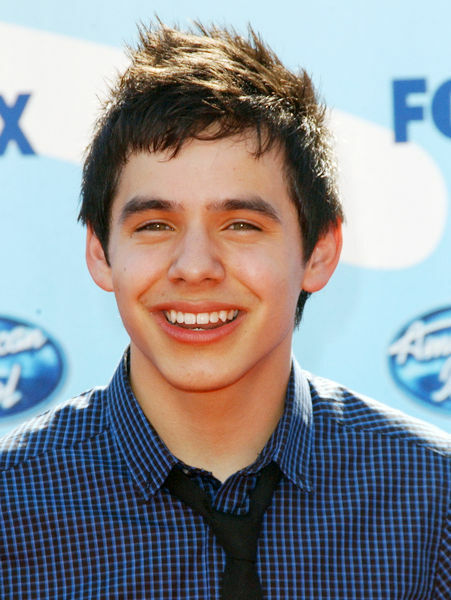 After Archuleta's "Idol" almost-win, he signed to "Idol"-connected 19 Recordings. His self-titled album dropped last November and made its debut at No. 2 on the Billboard 200. 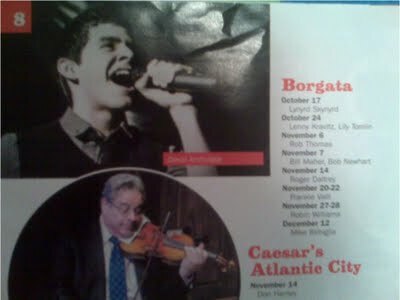 After touring with fellow "American Idol" alums, he ventured out on a solo tour, playing small clubs. His fans - known as Archies or Arch Angels - are maniacally in love with him. So much so that he nabbed the Most Fanatic Fans trophy at 2008's Teen Choice Awards. 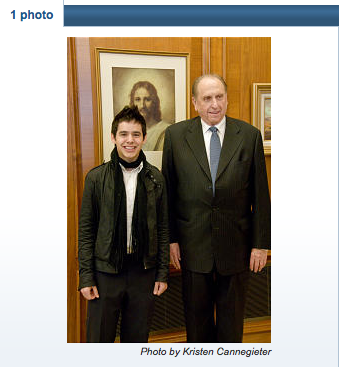 But Archuleta is still getting used to his celebrity. The Utah teen say it seems "really weird" to have his own music videos. He was sure only "30 people" would show up to see him on tour. "And the fans are always interesting because it's like you never actually thought there'd be people who'd be having your face on their T-shirt and holding signs up for you and coming to all the shows and yelling, 'David!' That's always weird. That part still seems unrealistic, because it's like, why would people be doing that for me?" 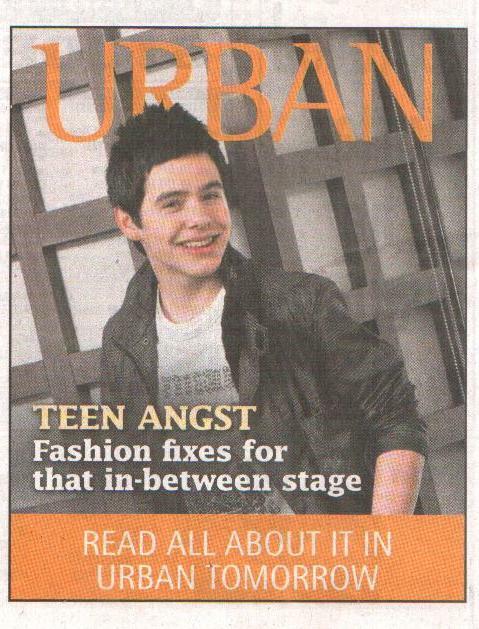 When Archuleta isn't busy being a pop star, he's a surprisingly average teen. He spends time hanging out with friends and family, practicing piano, listening to music, even visiting old folks in his neighborhood. He's never had a girlfriend, but feels the time will come when a relationship will enter the mix. And he's a recovering Twitter addict. "I felt like Twitter was taking over my life for a little bit," he said, "but I've gotten better." In addition to his 45-city tour with Lovato, Archuleta's hard at work on his second album, due out early next year, as well as a Christmas release slated for fall. And, like most teens, he's still searching for his identity - musically, anyway. "I just want to really define my sound as an artist and as a writer," he said, "because I still don't have this absolute sound that I can say, 'This is my sound and this is who I am.' I want to figure out how to tie all the little things I like in music together so people can say, 'That's David Archuleta's sound. That's who he is.' It seems like with 'American Idol,' the fans are so diverse and I don't really want to exclude a certain age group. 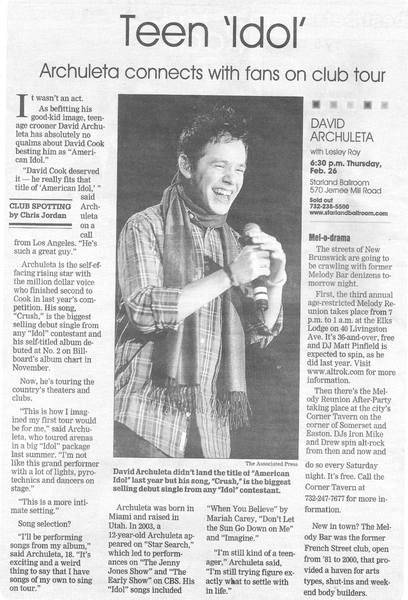 I don't want to be teenybop David Archuleta forever, but I'd like to be able to relate to as many people as I can." Demi Lovato and David Archuleta, Friday at Agganis Arena. Tickets $39.50-$49.50; call 617-353-4628. 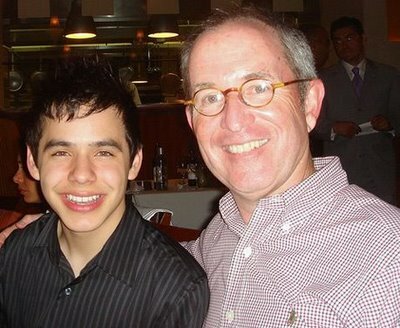 David Archuleta's first single, "Crush," peaked at No. 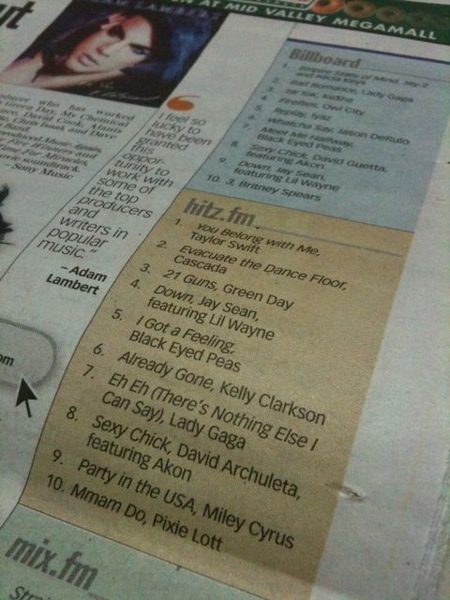 2 on the Billboard Hot 100 charts. On the seventh season of "American Idol," David Archuleta's version of "Imagine" earned him the title of "the one to beat" early on. He never once placed in the bottom three. In the end, David ended up losing the crown to another David ---- David Cook ---- but he still got a chance to pursue his pop star dreams with a record deal on 19 Recordings/Jive Records. Now, the 18-year-old runner-up is hoping all those votes on TV's top-rated show will parlay into album sales. His self-titled debut is in stores now and he performs Saturday at the San Diego County Fair (just two days after David Cook). So far, the teen's future looks promising. His first single, "Crush," peaked at No. 2 on the Billboard Hot 100 charts and has been a top download on iTunes. 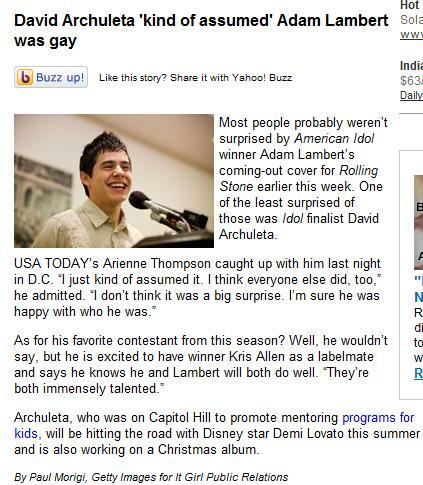 Archuleta talked recently to The Associated Press about going solo and what he thinks Simon Cowell may have to say about his record. AP: What does it feel like to release this album? 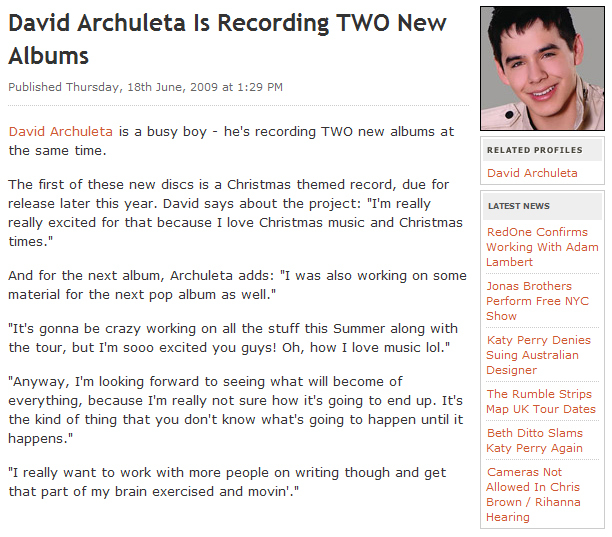 Archuleta: The album coming out is a pretty exciting time for me in my life because I've always been looking forward to it. After all the hard work over the summer and a lot of time and effort put into it, it's cool to see the finished product, because now everyone's gonna be able to get a chance to listen to it and it's really exciting. 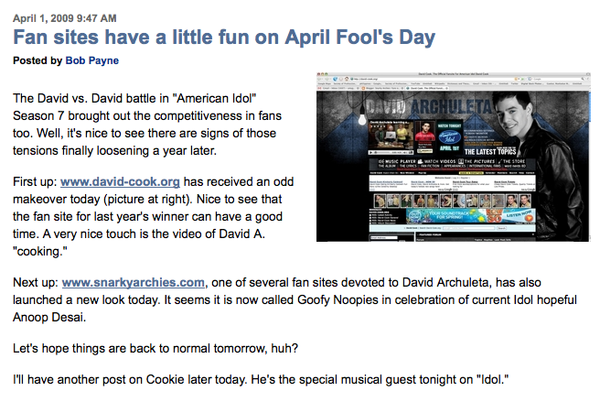 AP: David Cook's album came out in October, too. Do you feel like there's a competition all over again with him? Archuleta: It never really felt like a competition with Cook. Not even on the show were we competitive very much. We're kind of in our different categories in the music world, but I'm just hoping for the best. I'm real excited for his album, too. I've heard a few of the songs and they sound great. AP: What about fame has surprised you? Or what didn't you expect? 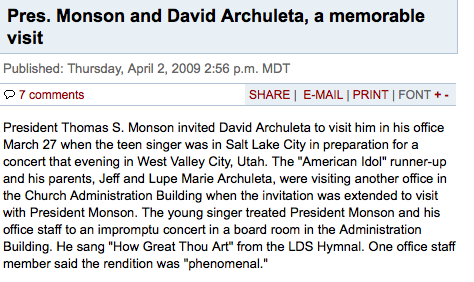 Archuleta: Well, the surprise of fame, I guess, is actually the fact that I'm actually dealing with it. You know, you see what other people have to go through and stuff, all the attention, and I guess I never really realized that it would actually happen to me the way it has. That's pretty crazy, to see how it goes with all the gossip and rumors and celebrity stories. People always wanting to know everything about what's going on, every little bit of your life ---- but I guess that's what comes with this whole thing. AP: You got to act in your first music video for "Crush." What was that like? Archuleta: It was a lot of fun. I was a little nervous at first because I was wondering, "Oh, am I gonna be able to pull it off? I don't know if I'm a very good actor or anything like that." (Laughs) But it was really easy and it was a lot of fun to do, and I think it went really smoothly. It was just a lot of fun to be able to get into character and the story and the whole thing, and be able to kind of like, work with other kids my age in the music video. AP: What do you think Simon Cowell will have to say about your album? Archuleta: You know, you never know what Simon's gonna say (laughs). I hope that he likes it. You never know what he'll think. I'm sure he'll have an opinion, but hopefully he'll appreciate the work that went into it. I know he understands how much work goes into making an album. Hopefully, there will be at least one song he likes (laughs). AP: You're in your senior year of high school. How are you balancing school work with the music business? Archuleta: It is quite a challenge trying to balance both school and this crazy music world, but I've been trying to keep up with that. ... So far it's been pretty good. The entertainment world is so unpredictable. There's not really like, "Oh, this comes after this and then this time, and then you get a day off on weekends." It doesn't work that way. It's like, "OK, oh, by the way, later on today you're going here and doing this." It's like, "OK." Flying out here or there or everywhere. David Arcluleta is cooking up new materials for two new studio albums, one of which is a Christmas set and the other is a pop record. 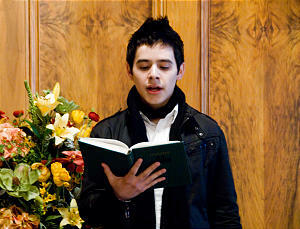 David Archuleta has revealed on his blog that he will return to studio for two new studio albums. 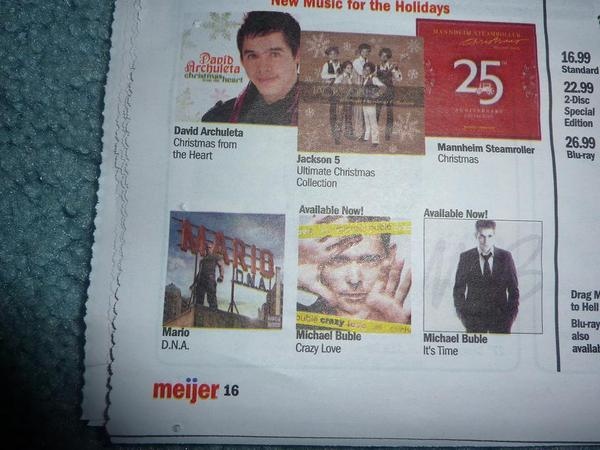 The runner-up of "American Idol" season seven says one of the albums is a Christmas record and the other is a pop effort. On the Christmas set, David shares it is recorded in Los Angeles and will be coming out before the end of this year. "I was in LA recording for the Christmas album that's coming out this year! I'm really really excited for that because I love Christmas music and Christmas times," he states. As for his next pop album, David gives no further details, only dishing that it will be worked on while he is touring with Demi Lovato this summer. He writes, "I also working on some material for the next pop album as well. It's gonna be crazy working on all the stuff this Summer along with the tour." David Archuleta will open for Demi Lovato on her headlining roadshow, starting from June 21 at XL Center in Hartford, Connecticut. They will continue touring through August 24 at Verizon Wireless in Manchester, New Hampshire. Though the tour hasn't been kicked off, it has been nominated for Choice Tour at the 11th Annual Teen Choice Music Awards. Beside sharing one gong with Demi, David also gets two other nods in music field for Choice Breakout Artist and Choice Love Song. He competes against David Cook, Kid Cudi, Lady GaGa and Asher Roth in the former category, and he faces off Beyonce Knowles, Jonas Brothers, Jesse McCartney and Taylor Swift in the latter. In the past few months, I've been rushing home at 5.30pm on the days when the show (Idol) is on. My house is about 10km from my office but with the traffic -- there is just enough time to reach home before the show starts at 6pm." Although the show was repeated later in the evening, Pearl said "it was not the same". "I never missed any of the shows in Season 8." Now that the season is over, Pearl said she was spending more time at the office. "Nowadays, I work late till either 6.30pm or 7pm. I felt a sense of loss when the season came to an end. "I often watched the show with my children. Even when we didn't watch it together, we would talk about it over the phone. The show actually brings people together and gives them a common thread. I think it actually has a positive effect on the family." Student Teo Li Ann, another American Idol fan, spends most of the off-season updating her David Archuleta (first runner-up of Amercian Idol Season 7) fansite. "I watched most of the American Idol episodes this season although my favourite season was last year when David Archuleta was competing," said Li Ann. She added that watching the show was part of her routine on Thursdays and Fridays, whether it was with her friend in college, or at home with her family. "Now that the show is over, I spend my spare time either on Facebook or online with the Archuleta Avenue Malaysia site (archuletavenue.wordpress.com)," she said. 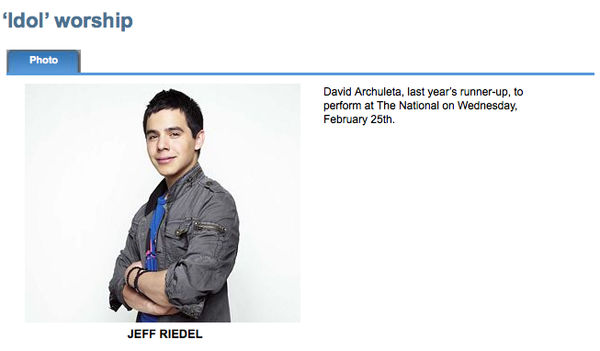 2008 American Idol runner-up David Archuleta, the 18-year-old who's scored big with his song "Crush," can now add Washington to his list of cities with a crush on him. What the rest of the country saw on Fox last year, he brought to town to help draw attention to the fourth annual Keeping the Promise to Our Children conference, sponsored by hip-hop's Russell Simmons and Hollywood philanthropist, moviemaker, and punk promoter Daphna Ziman. Archuleta capped his two-day stay at a dinner for the conference last night. And while stars Shawn King and Terrance Howard performed, too, it was young Archuleta who earned a State Department standing O in the Benjamin Franklin Diplomatic Reception Room. "I'm going to try and accompany myself," the young star nervously told the crowd. Then he sat down at the piano and played an almost-perfect rendition of John Lennon's "Imagine," belting out the song in that powerful but youthful voice that allowed him to get so far on Idol. He then performed Kurt Bestor's "Prayer of the Children" a cappella. The vocal powerhouse told Whispers that he would have been "a little more nervous" if Secretary of State Hillary Clinton had shown up. The night before, Archuleta and several other stars of the kids conference were feted at Washington's Teatro Goldoni, just named the city's favorite by Washington's restaurant association. 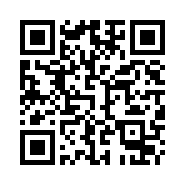 Check out our photo gallery of the event. I'm an Idol fan, so I sought David out and got to sit with him and his dad, Jeff. I knew immediately that he is just as genuine and shy as he appeared to be on the show. He blushed and giggled when people praised his work. He covered his mouth when eating and trying to talk. He gave out autographs. And he dressed the part of a kid, right down to his black Chucks. He described his life since Idol as something of a blur, with little time at home. But he's been a hit on the music and tour scene, selling some 700,000 copies of "Crush." And he and his dad are just beginning work on a Christmas album. Jeff, who did not appear any bit of the ogre he was said to be behind the Idol curtain, is a coproducer. He said the album will include traditional songs like "Silent Night" and up to three written just for David. 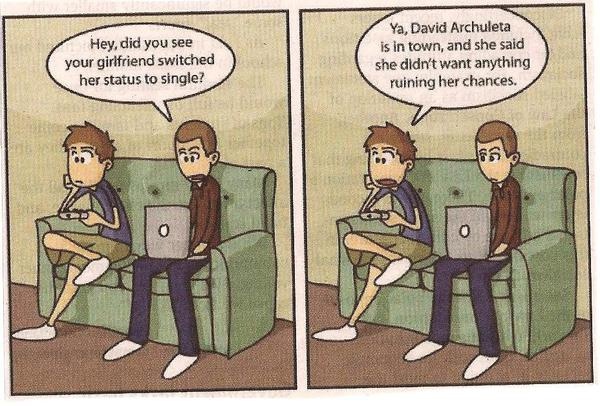 David Archuleta is extremely tired. So what's the worst part about climbing to the (near) top of the Idol heap? "It's the screaming. Normally, when you hear that sort of scream, there's something really wrong. But instead, it's just me walking by."